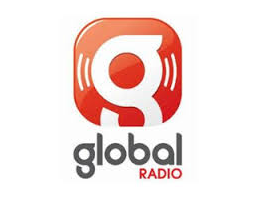 The launch of Global Radio's Heart Extra station has prompted some changes on satellite, where the new digital offshoot from Heart has caused a mini-reshuffle for radio listeners on Sky. Heart Extra has taken over the bandwidth of sister station LBC London News on satellite, but taken over LBC's channel number (0112) on the Sky EPG, so that it sits next to the London version of Heart on 0111. LBC has moved from 0112 to 0124. LBC London News, previously on 0124, is no longer distributed via satellite. For listeners who have manually tuned in the stations via digital satellite, the changes affect broadcasts on Astra 2G transponder 105, 11224H Symbol Rate 27500, FEC: 2/3. Heart Extra has replaced LBC London News on Virgin Media as well. On DAB digital radio, Heart Extra launched at 00:01 on national DAB multiplex "Digital 1", making use of some of the capacity freed up by some stations moving to the new Sound Digital multiplex. Listeners are being advised to retune their radios so that they have an updated station list given this and other changes taking place to the DAB platform this week.